This book introduces a variety of inclusive strategies for teaching language and literacy in kindergarten through 2nd grade. Readers are invited into classrooms where racially, culturally, and linguistically diverse children’s experiences, unique strengths, and expertise are supported and valued. Chapters focus on oral language, reading, and writing development and include diverse possibilities for culturally relevant and inclusive teaching. Featured teaching strategies foster academic success, cultural competence, and critical consciousness―leading students to read their worlds and question educational and societal inequities. Early childhood teachers will find this book invaluable as they consider effective ways to teach diverse children. The hands-on examples and strategies portrayed will help educators expand their thinking and repertoires regarding what is possible―and needed―in the language and literacy education curriculum. 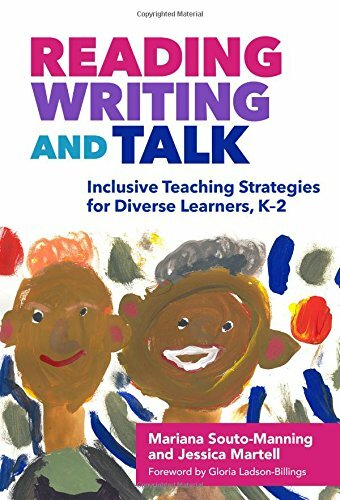 Unique in its focus on equitable, fully inclusive, and culturally relevant language and literacy teaching, this important book will help K–2 teachers (re)think and (re)conceptualize their own practices. Showcases culturally relevant and inclusive ways of teaching reading and writing in the early childhood classroom. Uses vivid classroom examples to show how teachers and students build on diversities as strengths, fostering educational success. Includes the voices of teachers who employ theoretically informed and equitable language and literacy teaching practices in their own K–2 classrooms.